Note: While this is an interesting development, there is no mention of Petraeus' criminality, of the horrendous war crimes for which he is responsible, and no holding him accountable for his dreadful acts. He should not be teaching students for free, either. It was supposed to be a feather in the cap for the City University of New York’s ambitious honors college. Or perhaps a careful first step back into public life for a leader sidelined by scandal. One way or another, the news that David H. Petraeus, the former C.I.A. director and commander of the allied forces in Iraq and Afghanistan, would be a visiting professor at the Macaulay Honors College at CUNY this coming academic year was supposed to be great publicity all around. Instead it turned into a minor scandal all its own, as some professors and politicians expressed outrage over his six-figure salary, and others accused the university’s administration of lying about just what the salary was. On Monday, it was announced that Mr. Petraeus would, on second thought, teach for just $1. “The general never was taking on this teaching assignment for the money,” said Robert Barnett, his lawyer, who, along with CUNY, confirmed the salary change. 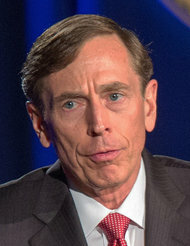 “Once controversy arose about the amount he was being paid, he decided it was much more important to keep the focus on the students, on the school and on the teaching, and not have it be about the money.” So Mr. Petraeus proposed waiving his salary “to remove money as a point of controversy,” Mr. Barnett said. Mr. Petraeus declined to comment. Those documents and others provided by CUNY reveal an extensive and friendly e-mail correspondence between Mr. Petraeus and Dr. Kirschner. The two went back and forth about the seminar, an op-ed article they contemplated writing together, and even their day. They do not appear to have exchanged e-mail about reducing his salary until word of his compensation — far more than most CUNY professors receive, for far less work — began making headlines. That “memorializing” letter failed to convince critics. So a while later she released a document that was described as an early draft of the agreement. But that draft had never been sent, making its relevance unclear, and it was not included with the original cache of documents that had been released. The skepticism in part reflects the disparity between what CUNY offered Mr. Petraeus and what it pays other professors. The average salary for full-time faculty members is $89,768. Adjunct professors, who currently teach more than half of CUNY’s courses, get just a few thousand dollars per course. Most professors teach multiple courses each semester and do all of their own grading. Mr. Petraeus will teach one seminar with 16 students, and CUNY has arranged for two graduate students to assist him, in addition to the three Harvard graduate students who helped him assemble the syllabus. In his downtime from CUNY, Mr. Petraeus — whom Kohlberg Kravis Roberts & Company has hired to be chairman of its new KKR Global Institute — will be on the lecture circuit and teach at the University of Southern California, a job that he said paid extremely well.